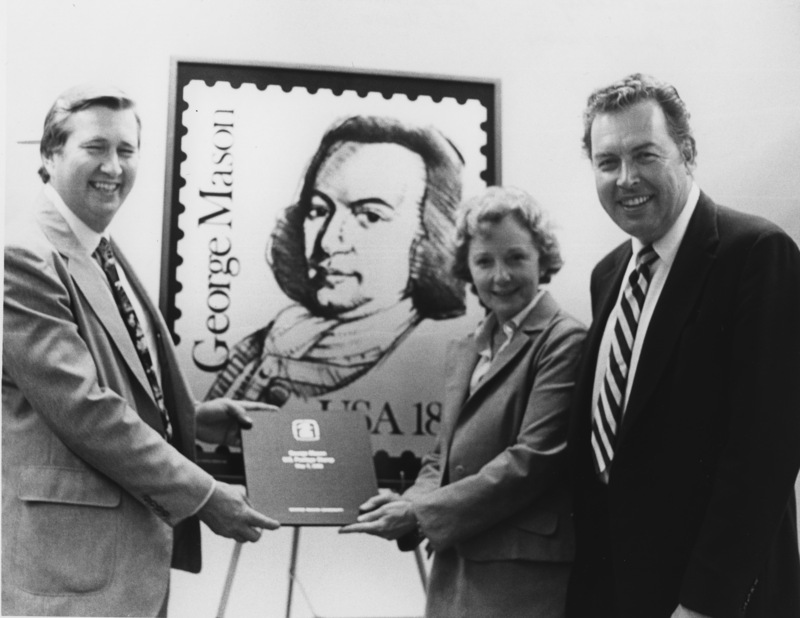 Although George Mason University’s initial years of independence in the mid-1970s were met with some successes, the argument could be made that Mason was perhaps not reaching for its fullest potential. Student housing had only been brought to campus after former President Dykstra, who strongly opposed to dorms being built on campus, acquiesced to popular opinion. There were very few established graduate level programs at Mason, and a potential law school was met with criticism from members of the university’s administration as well as the Commonwealth’s political establishment. Perhaps sensing that is was time for more dynamic leadership, George Mason’s Board of Visitors turned to a man from Temple University named George W. Johnson to serve as Mason’s fourth president in 1978. Under Johnson’s eighteen-year tenure as President the University expanded both its physical size and program offerings at a tremendous rate. Shortly before Johnson’s inauguration in April 1979, Mason acquired the School of Law and the new Arlington Campus. The University also became a doctoral institution. Toward the end of Johnson’s term Mason would be deep in planning for a third campus in Prince William County at Manassas . Major campus facilities, such as Student Union Building II, Patriot Center, Center for the Arts, and the Johnson Learning Center, were all constructed over the course of Johnson’s eighteen years as University President. Enrollment once again more than doubled from 10,767 during the fall of 1978 to 24,368 in the spring of 1996. The desire to create new academic programs and innovative centers for research were hallmarks of Johnson’s tenure. Undergraduate programs such as the Plan for Alternative General Education (PAGE) program (the predecessor of today’s Honors College) and New Century College were created during this time period. The Center for the Study of Public Choice, the Institute (later School) of Public Policy, the Institute (later school) for Conflict Analysis and Resolution, and the Krasnow Institute are just of a few of the many institutes established. Oftentimes, institutes and centers at Mason were staffed by talented faculty members who were restless in their previous places of employment, such as Nobel Laureate, James M. Buchanan. Johnson promised them the freedom to operate on their own, within certain limits, of course. During the George W. Johnson Era the University developed from an institution which was mostly local in scope to a major nationally-recognized university. Johnson, in contrast to previous presidents, drove George Mason to expand and grow in new and innovative ways and emerge from relative obscurity. Mason would now become a major player in Virginia higher education.